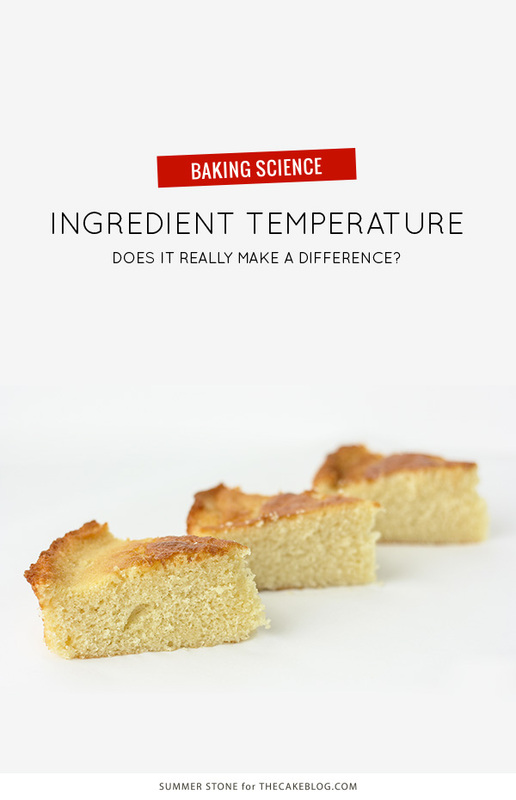 Our contributor, Summer Stone-Polzel of Cake Paper Party, is back today with a new baking science experiment…. Most cake recipes prompt the baker to begin with room temperature ingredients. While I generally comply with most of my ingredients, I admit I can often be caught tossing a cold egg or chilly milk into my batter. Typically in a hurry, I would think, “What difference does it really make?” I finally decided to challenge my rebellion and see what happens when you start with cold, room temperature or warm ingredients. 1. 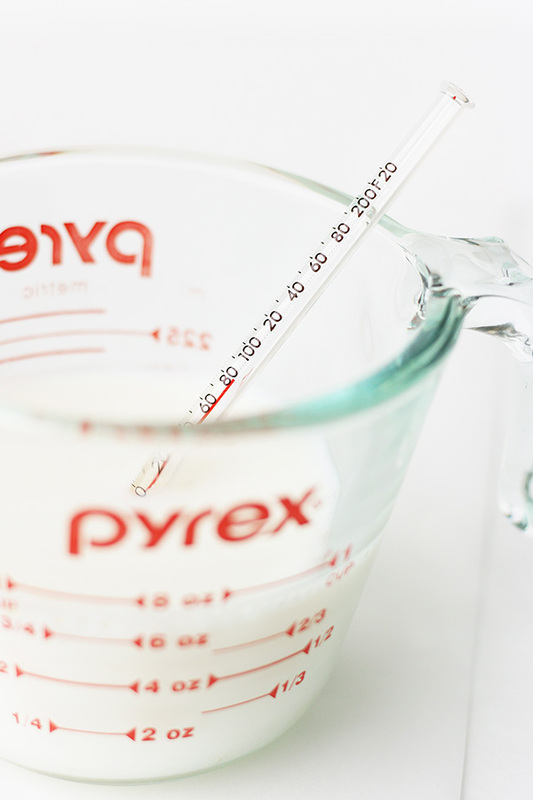 Ingredient fluidity – This is primarily a factor with butter since its level of plasticity changes greatly within a relatively narrow temperature range. 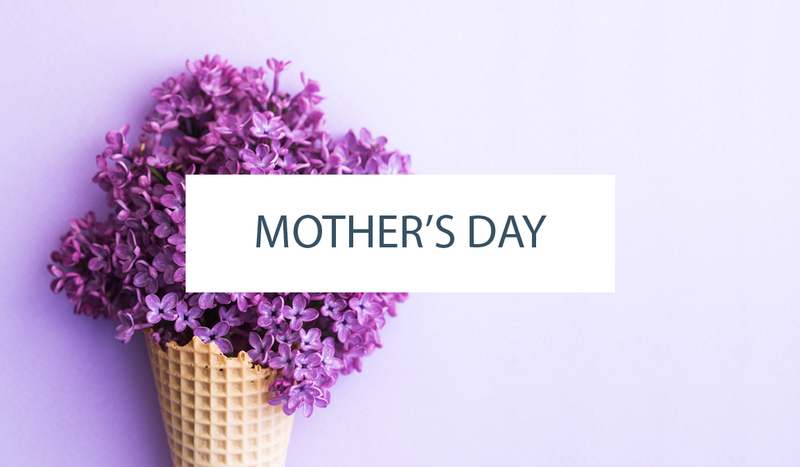 If you stick butter in your batter straight from the fridge it will not distribute in your batter as well as room temperature butter and in turn will not properly coat flour proteins or allow for intake of air pockets during the beating process. 2. 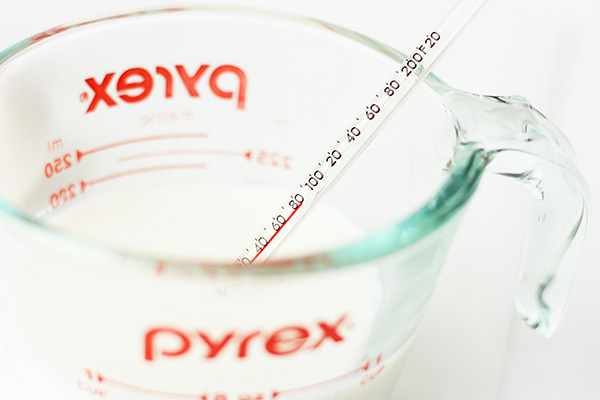 Emulsification – Both butter and egg yolks play an important role in the emulsification (joining of fats and liquids) of batter ingredients. 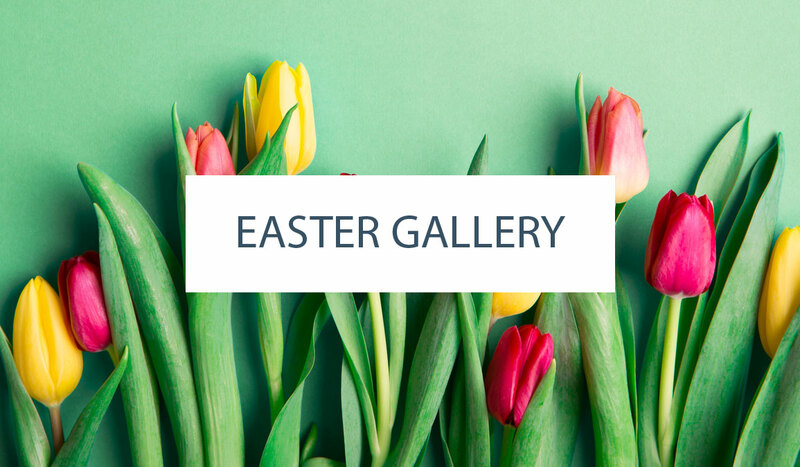 Cold butter, as noted above, doesn’t distribute well enough to emulsify properly and, as with all chemical processes, emulsification (via butter or eggs) occurs slower and less thoroughly in a chilled setting. 3. Dissolving of ingredients – Sugar dissolves in varying degrees within a batter based on the temperature of the liquid ingredients. Too cold and it will dissolve very little, too warm and it will dissolve too much. What does all of this mean to your cake? Let’s find out! I baked three cakes with refrigerator temperature butter, eggs and milk (about 40 degrees F), room temperature ingredients (about 70 degrees F) and warm room temperature ingredients (around 80 degrees F). I decided not to work with temperatures above 80 degrees F to avoid melting the butter and bringing in an additional set of factors. 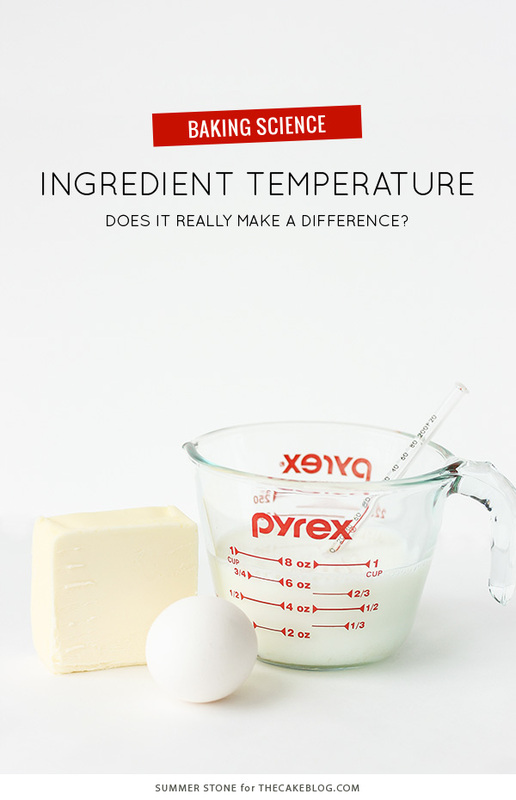 These temperatures give a sampling of butter in three different solid states. The first ingredient temperature differences were clear in the mixing of the batter. I creamed the butter first with the sugar and then added the eggs. It was difficult to get cold butter to work into the sugar at all. After two minutes of beating I still had a central hunk of butter that had the outer edges beaten away. Adding cold eggs helped a little in distributing the butter but pea-sized clumps were present following the egg beating time. After addition of the dry ingredients and cold milk, the butter was still in bits, albeit tiny. The batter was relatively thin as I poured it into the pan, an indicator that emulsification was not achieved. The room temperature butter (pliable but still well structured) mixed beautifully with the sugar and was creamy and light when the eggs were added. When flour and room temperature milk were added the batter was thick and had a nice body to it. There was no presence of “curdling” as the ingredients were well emulsified. The warm butter (which appeared glossy and squishy but not melted) blended well with the sugar and was the lightest in color of the creamed mixtures. The batter emulsified well with the addition of eggs, dry ingredients and milk. The batter was smooth and light, but it felt slightly loose or softer than the room temperature batter and seemed as if the speedily moving molecules could break from emulsion at any point. The baked cakes came out with similar surface appearance other than the cold and warm batter cakes having a slightly shinier appearance than the room temperature cake. This is likely due to the fact that the room temperature cake had properly dissolved sugar and optimal emulsification resulting in well “contained” sugar. 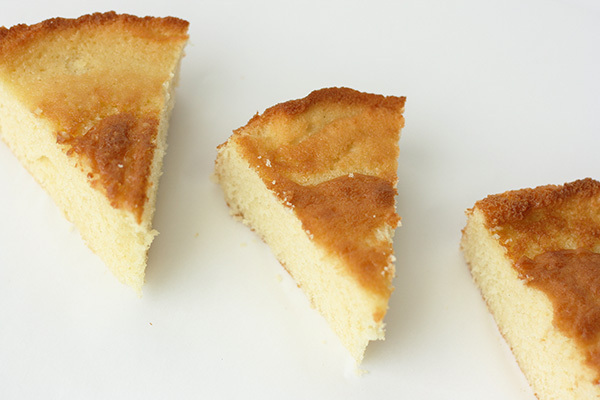 When cut, it was clear the cakes differed in texture. The cold ingredient cake was the coarsest of the three cakes. Improper creaming and butter distribution lead to the formation of large air pockets. Reduced emulsification also resulted in a cake that felt heavier in the mouth. 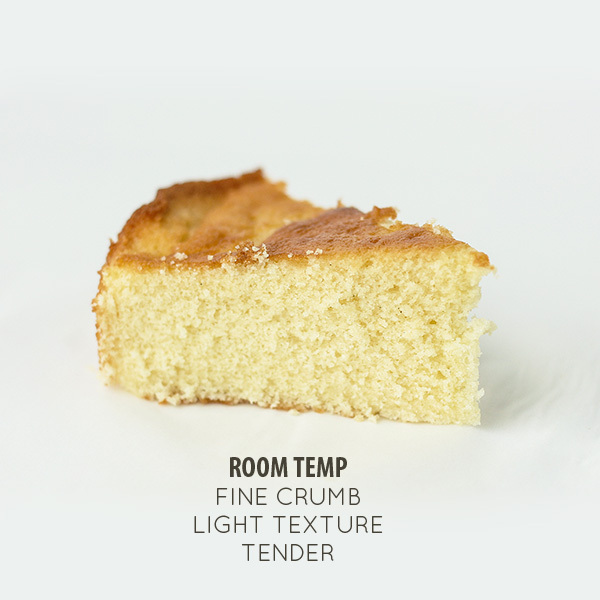 The room temperature cake had the finest texture of the three cakes. This is testament to proper air incorporation, butter distribution, emulsification and sugar dissolving. Butter plasticity is important in enabling sugar crystals to drive fine air particles into the butter. 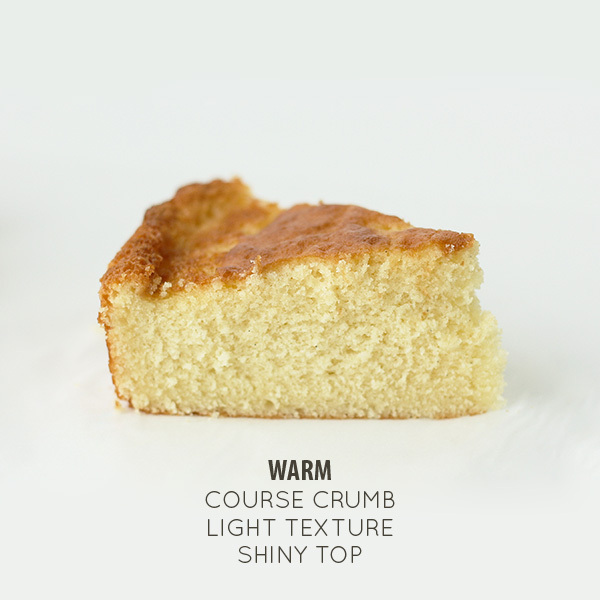 Thorough emulsification resulted in a cake that had a light and tender mouthfeel. The warm ingredients cake was slightly less coarse than the cold ingredient cake. 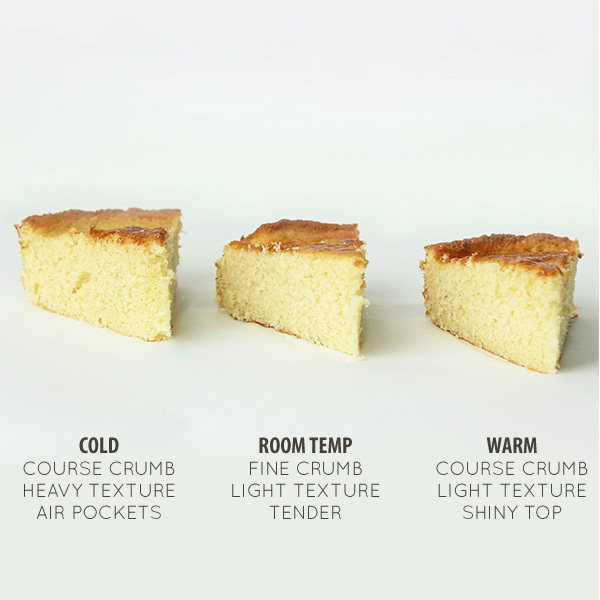 At first it seemed odd that the cakes with opposite ingredient temperatures would end up with similar characteristics, but it appears that in this case different mechanisms lead to a common product. While the warm ingredient batter incorporated fine air particles well, it seems the butter was too soft and the molecules were moving too fast to prevent the bubbles from merging. The overall result was a slightly coarse cake that mimicked the cake made with cold ingredients. This cake was lighter than the cold ingredient cake because of sufficient emulsification but the shiny top indicates that the sugar was dissolved into the liquid solution. In the end, it seems that all of those recipe writers were correct. Ingredient temperature does make a difference and a mere 10 degree F shift can degrade your final product. For the finest texture and a light and tender mouthfeel make sure your ingredients are all at moderate room temperature. I hope this helps your baking adventures! Great testing. I’m always careful of butter temperature. The other factor besides emulsification is the leavening. 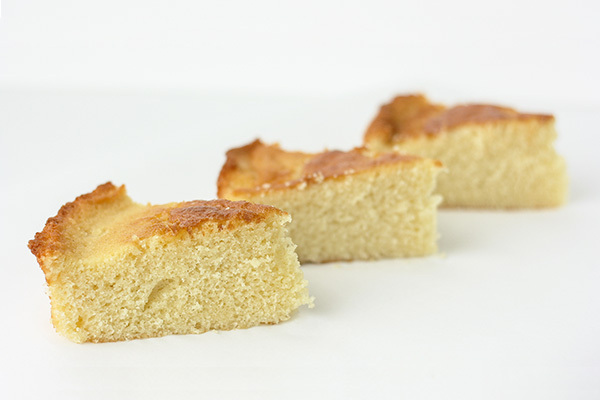 The steam created by the butter during baking helps puff up the cake. Cold butter gives off a lot of steam which caused the air pockets. This is why you want to use cold butter in pastry and crusts: you get a nice flaky result. 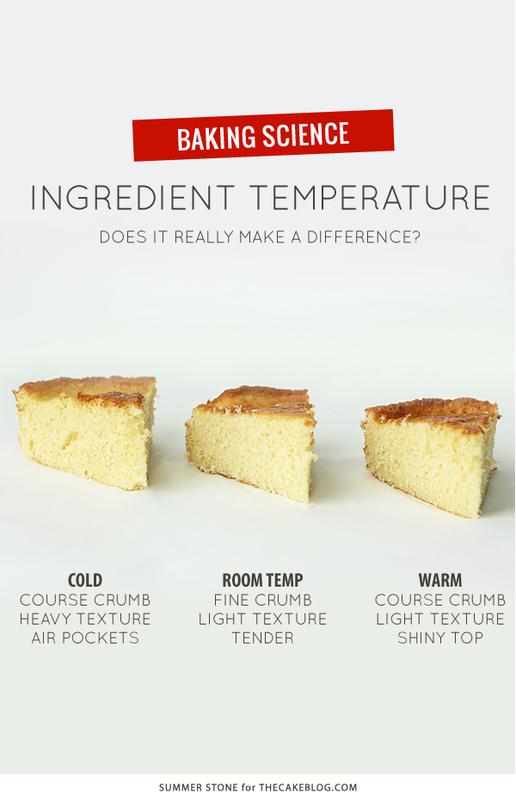 Thank you for this post I always wondered what the difference was between cold ingredients and room temperature ones. My husbands job took us to Paris for about a year during that time I took about 30 cooking and baking classes at La Cuisine .All the chefs spoke English and have impressive resumes. One of them gave us a great tip he taught us how to soak eggs in hot water and to use a wooden rolling pin to smash the butter for the times when we forget to set our ingredients out . Wish I would have know this trick the time my husband decided the eggs and butter on the kitchen counter needed to be refrigerated and put them back in the fridge . . Please post the recipe you use in your tests. With-out recipes and their directions; the ability for others to see what your doing is impossible and unscientific. Your articles are presented as “Baking Science” so please disclose all the scientific factors so your work can be duplicated. Thanks for sharing this. Nice experiment. Appreciative of your experiences with cake baking. I have a French-Canadian baker in my neighborhood who makes a very light, soft, moist sponge-layer vanilla cake and wonder how it’s done? It melts in your mouth, isn’t high at all, but as I have long guessed, it must be the water that gives the airiness to it so whatever it gets layered with with, always comes out right, i.e., strawberries, blueberries or chocolate butter cream; but wd love to know how & what! Well, thats not true. I bake a pound cake with all the ingredients cold and it cones out moist and delicious. 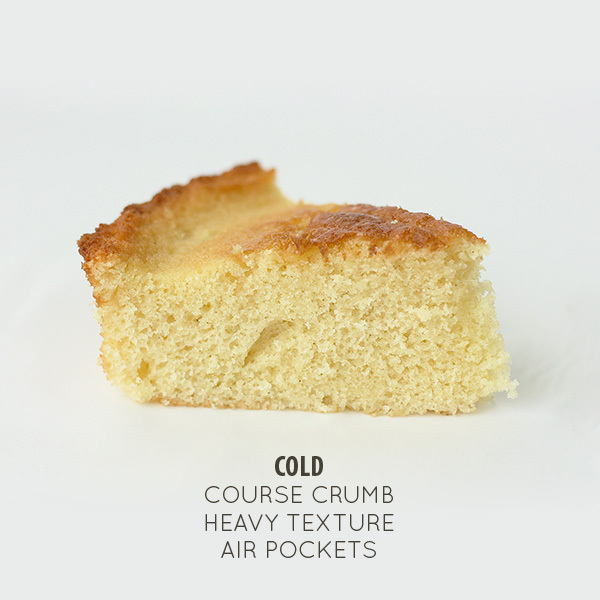 Try Jos pound cake and do it all cold. You will see its a truly great tasting cake. Oh , i forgot, do not preheat the oven.